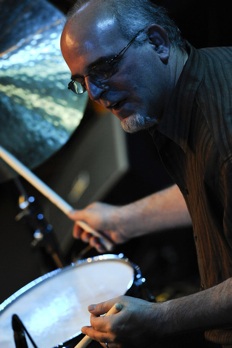 In July of 2012, drummer Harvey Sorgen and Esa Pietilä started their collaboration. Their first tour of the USA included concerts in NYC, Vermont & New Hampshire. This musical encounter was something very new and unique – a surprisingly new organism of sounds and structure. Harvey Sorgen´s intensity coupled with his sense of how to shape sound combines seamlessly with Esa´s vision and gut punching ideas on the saxophone. The duo´s explorations become a singular combination of fire, soft elegance, pure primitive power and flourishing ripeness.